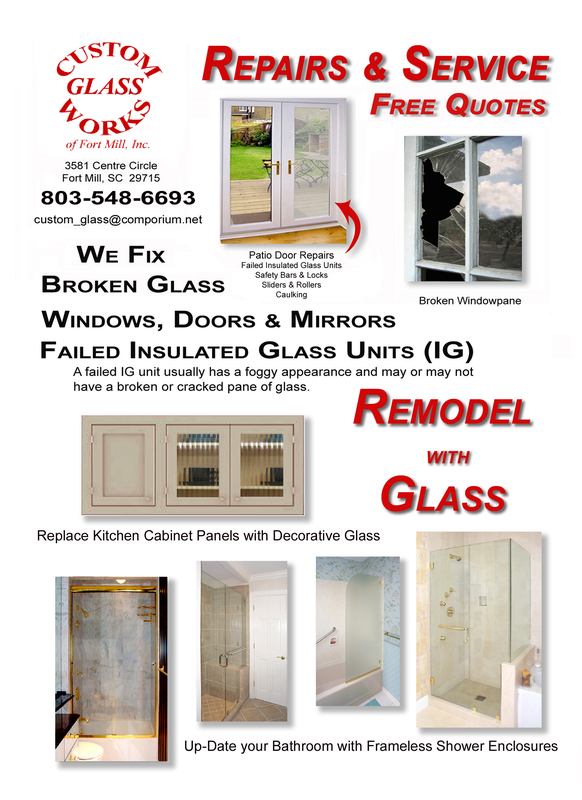 Please see our Flyers section in the sidebar for examples of our work. 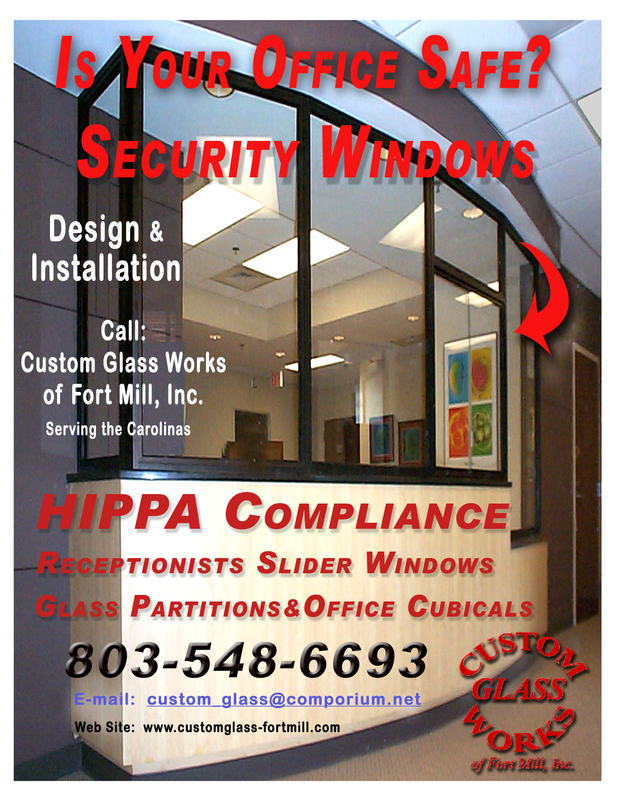 Custom Glass Works of Fort Mill, Inc. has been in business since 1990. We have an excellent reputation for being punctual, treating all customers with courtesy and respect, and being neat and tidy on the job site. 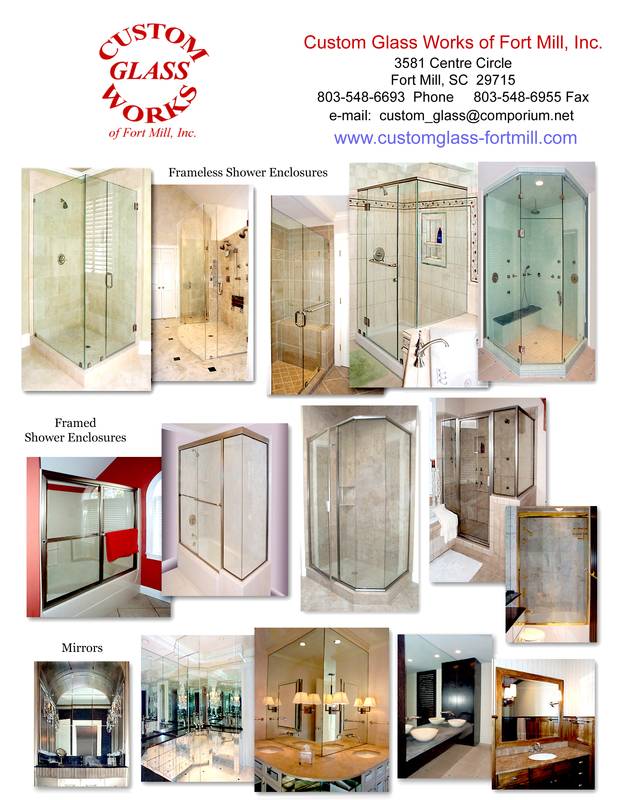 The main products are shower enclosures (frameless and framed) and custom mirrors. 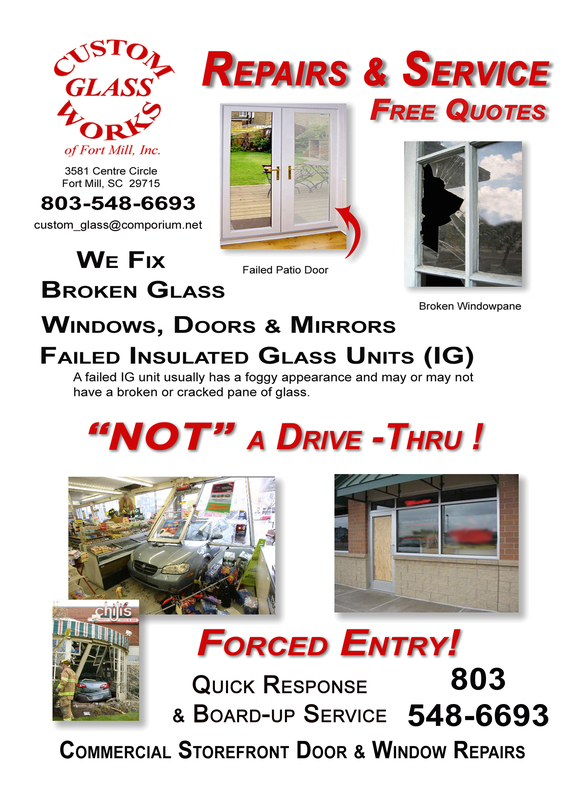 We also build and replace insulated glass units, residential glass, commercial storefront systems and glass furniture. Our staff can etch company logos, pictures and custom designs for practically any glass application such as privacy glass, signage, mirror art, trophies and plaques. 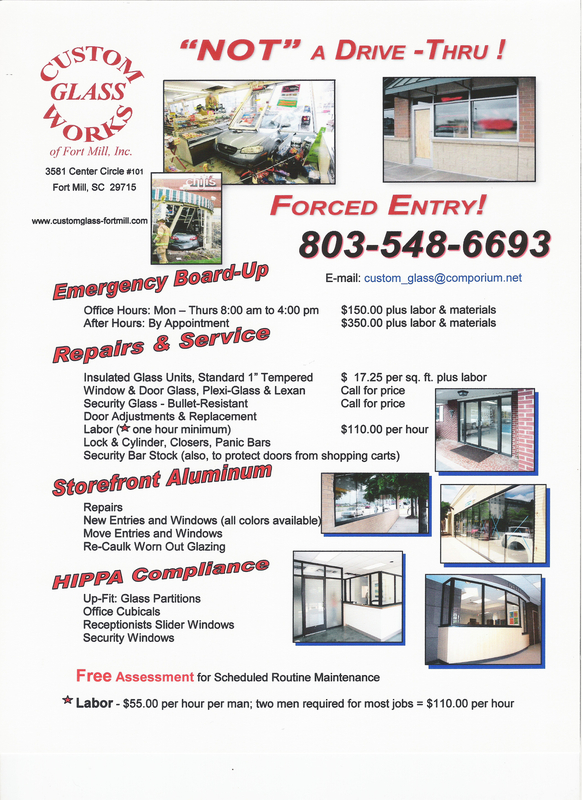 We also perform balance repairs and do window repairs around existing windows.